Rather than get me chocolate Easter eggs this year, my family gave me a rather huge amount of products from the Lush Easter collection. Sorry that this video has now gone live post Easter, my aim was to edit and have it up before the Easter weekend but unfortunately I was sat in A&E for several hours as my sister has broken her foot! I hope you enjoyed my video and liked seeing the different products my Dad picked up for me. Please support my channel by liking the video if you enjoyed it and subscribing if you are new. I am now so close to 5000 subscribers which is pretty exciting! Remember to stay tuned as I already have a few Lush demo videos filmed and waiting to be edited. 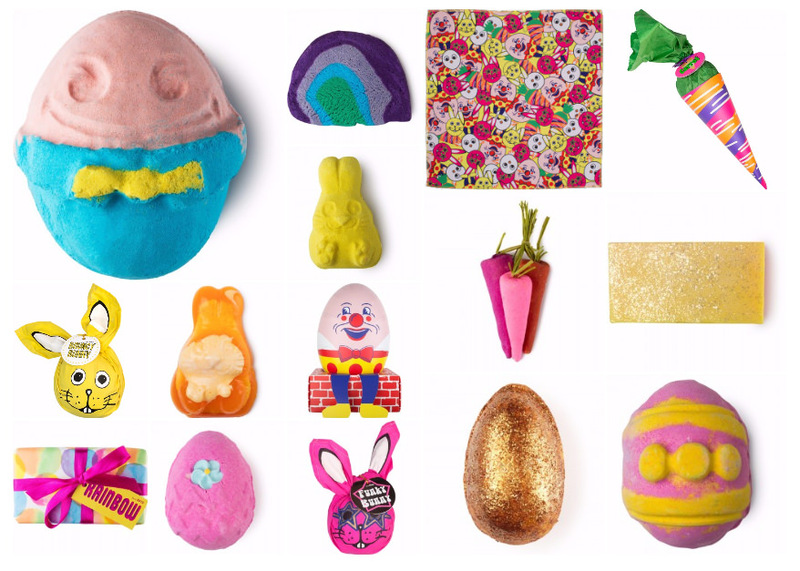 Which were your favourite Lush Easter items this year? If you want to see more Lush blog posts you can find them here or read about the entire Lush Easter 2016 collection here. Next Post Slimming World Meringue Raspberry Fool – April Fool Syn Free Recipe!